I’m going to start a detailed account of my training leading into returning to the Chicago Marathon in 2018. 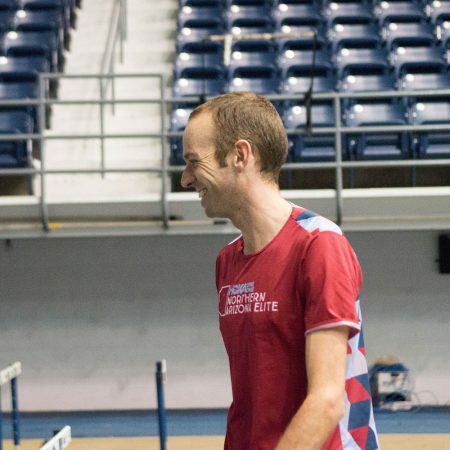 I raced there last year and finished in 12th place, the 3rd American; running 2:13:41. That was my first marathon since January of 2015, returning from a hip injury that caused me to miss the Olympic Trials in both the Marathon and Track. Since last year’s race, I’ve had some great training, but the racing results haven’t been what I’ve hoped for. 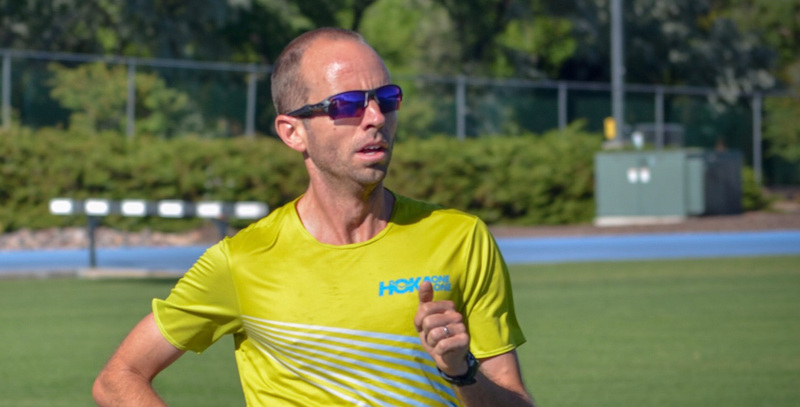 Coach Ben Rosario and I have talked about the overall training philosophy leading into Chicago this year; and I plan to share some of those ideas with you as we lead into the big day: October 7th. One of the plans we’ve come up with for this segment is to keep the buildup shorter than in the past. In my last couple of marathon buildups I’ve felt super fit, strong and confident a few weeks away from the race. I haven’t felt like I was tiring out before the race, but we want to try a shorter buildup so that I feel like I’m building fitness all the way up to the day of the race, and if anything a little underprepared. That is better than the alternative of beginning to run out of steam going into the race, which in hindsight, is probably what was happening as I prepared to run Rotterdam in April, and ended up dropping out. So, to put that plan into effect, we had a short summer racing schedule that I finished on July 8th, running the Boilermaker 15k. I took a week off from running after that, even though I didn’t feel like I needed a break, which was nice! When I started back on July 16th, I had 12 weeks to prepare for Chicago, short and sweet. With the short break and the 12 week season, we wouldn’t have too much time to mess around. The first couple of weeks were pretty simple, just starting to run again, building up the weekly mileage and length of the long run. I’ll start with the week of July 30 – August 5th. The structure of this week got a little funky. We were originally going to workout Tuesday and Friday, and long run Sunday. But the previous week we moved our long run back one day from Saturday to Sunday so we could meet up with a team from Japan who were in Flagstaff training. That was nice to have company throughout that long run, I ran 18 miles in 2 hours at A-1. Nothing crazy, but a solid run for me only 2 weeks in. I told Ben in a text after that run that right now it’s a little unnerving in the short term knowing that Chicago is so close, and I know I’m not super fit yet. But with the plan we have, after a few weeks, Chicago coming up soon will be a positive thing. Monday and Tuesday of this week were just basic easy run days. 10 miles in the morning, 4 in the afternoon, with drills, strides and plyos after Tuesday’s 4 miler to prepare for Wednesday’s workout. 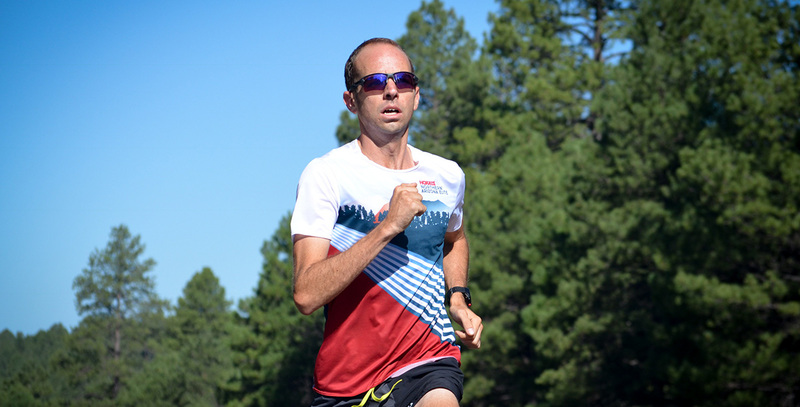 Wednesday morning Scott Fauble and I met at Mountain Shadows to do 20 400s. We were aiming for 70 second pace, jogging 200 meters between each rep. Mountain Shadows is a flat neighborhood loop a little north of Flagstaff. For different reasons, both Fauble and I struggled to get through this workout. I know I was (and assume Scott was as well) guilty of looking at the workout, and not thinking it would be very hard. I think for me, it was simply the matter of being early in my segment. When I looked at the workout on paper, I thought of it with the mind frame of already being fit, which is not yet the case. I think Scott struggled because he’s been putting in some big mileage. 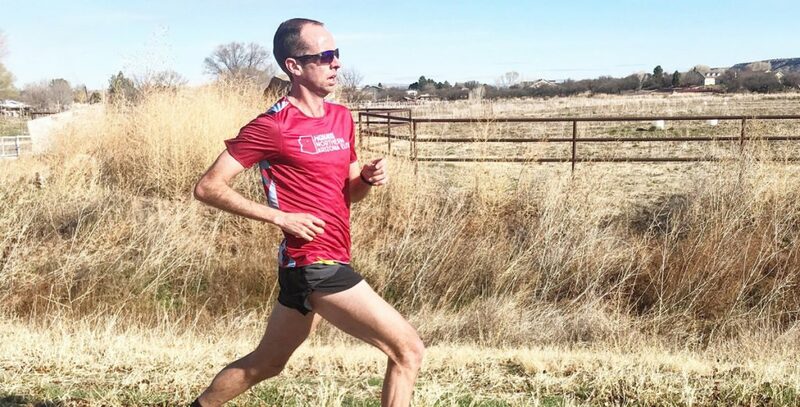 He took his break about 5 weeks earlier than me, is also preparing for a fall marathon, and is using those extra weeks to get in a ton of volume. Unfortunately, today that left both of us flat and tired. We made it through the workout, but were both a little discouraged by how difficult it felt during the cool down. Thursday was pretty typical for me. An easy 10 miles at the bagel run in the morning, an hour of strength work at HYPO2 at 11am, and then a 4 mile second run in the afternoon. Friday was another easy double day of 10 and 4, with drills and strides again in the afternoon, this time solo. 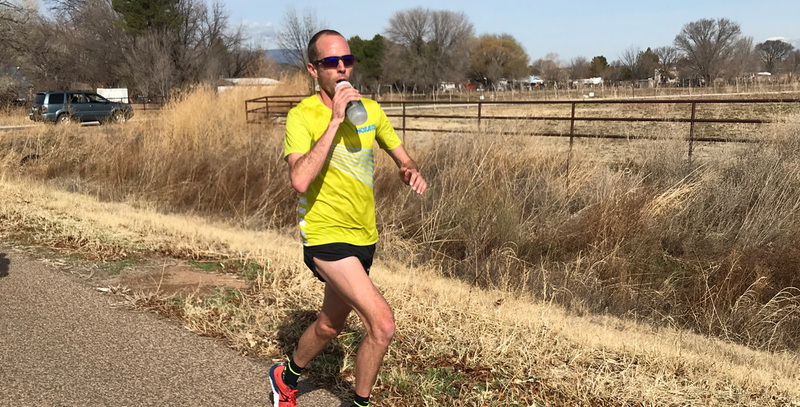 I felt pretty lethargic doing them, and worried about the next couple of days that included a workout Saturday morning, and long run Sunday morning. I was happy to learn a couple of days earlier that Ben had adjusted Saturday’s workout. Originally, we were doing 2 tempo miles, with the second including some pace change work; and then finishing with 10 by one minute hill repeats. We had the same idea when he told me we would pull back a little from that plan, and just do the hill reps. I’ve always liked workouts like hills or fartleks where I can listen to how my body feels and go as hard or as easy as I feel I need to get the proper benefit from the workout. I was relieved to feel a little better than the previous couple of days, and was able to go pretty hard. I ran the same distance or a little further on each rep which was the main goal for the session. I ran my cool down nice and slow feeling accomplished in having a good effort in the solo workout, and looking forward to having the afternoon off. One of the last times that would be the case this season, with the exception of long run days. Sunday morning was long run day. Like I mentioned earlier, it was strange to be doing a long run one day after a workout. It was also a big jump up in mileage from last week running 18 miles, this week would be 23. I met a group of guys from around Flagstaff at Heart Prairie, a spot I’ve never run at before. It was nice to be able to run in a group, but I was surprised by the gradual uphill that lasted the first 3-4 miles, and how aggressively everybody was going up it. If I were on my own, I probably would have gone quite a bit slower. But I decided to go along with the pace the group was going; something I’d want to do again in Chicago. After the big uphill, it was easier to settle into the pace with the group, we didn’t talk all that much most of the way, but it was nice to have company. I wound up getting dropped around 17 miles on a big, long uphill. I was definitely starting to feel pretty gassed at that point, and wanted to make sure I wouldn’t totally implode over the last 6 miles. It was a good decision, as I still finished the second half of the run faster than the first half, averaging about 6:25 pace for the whole thing. It wrapped up a solid week of 104 miles; and a little bit of confidence that I was no longer out of shape. 9 weeks to go!